I've thought about writing this post every day since we've been home from Disney. It's proved harder than I thought it would be to try and sum up this day and this experience with a traditional blog post. Sure, I could just give you all the play-by-play of what happened and when, but somehow that wouldn't do this race or this day justice. Being injured has changed so much of my life these past few months. It's given me heartache, envy, depression. However, it has also given me a new appreciation for my health, my strong spirit, and the people in my life who have lifted me up during the darkest days. Without those people in my life, I don't know how I would have handled being injured. Without the texts, emails, messages, phone calls, pep talks- I would have just wallowed in my misery and been a terrible person to be around. But I wasn't. Because of some awesome and inspiring people. 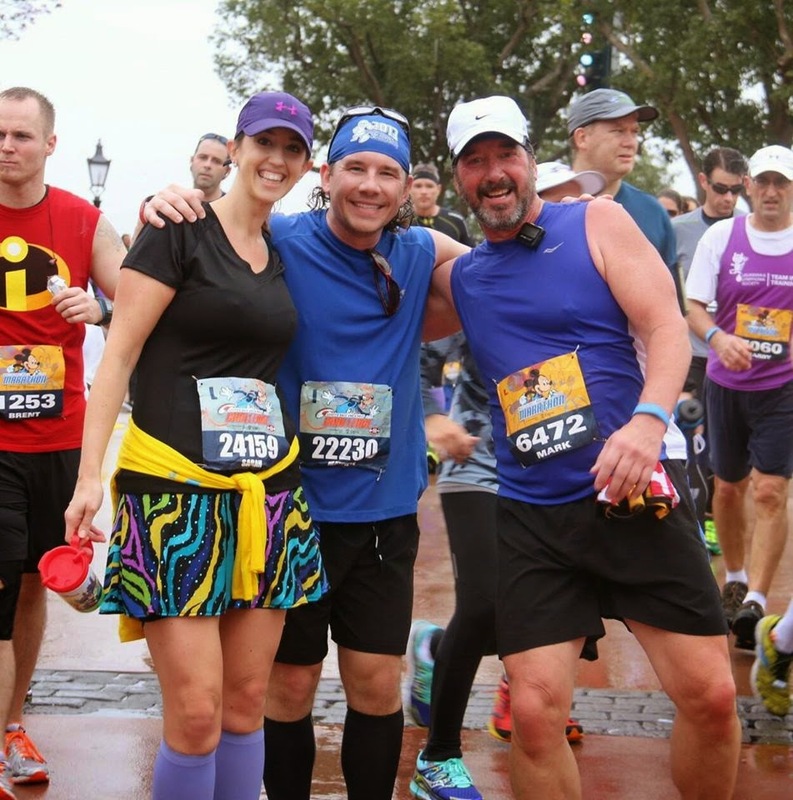 And some of these same awesome and inspiring people were running the Walt Disney World Marathon; my two biggest cheerleaders included: Matthew and my Dad. I remember just sobbing to my Dad when I got the diagnosis. I remember repeatedly apologizing. This was supposed to be our race. We were supposed to train together and cross the finish line together. I sobbed to Matthew. Apologized to him, too. 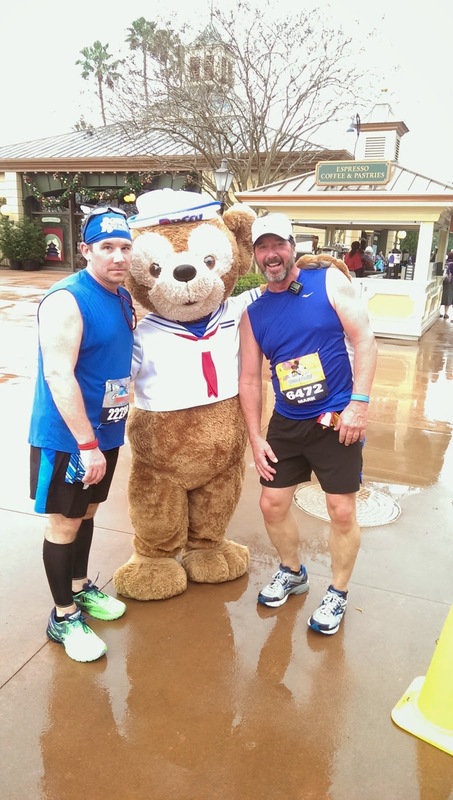 I knew all the long runs would fall to him; he would have to coach my Dad through his first marathon. I felt like I was letting both of them down. I felt like a failure. But neither of them saw it that way. They both said, "It's ok. We'll figure it out." We adjusted the long runs; they ran, I biked. Matthew and I spent hours showing Dad youtube clips of the course, preparing him for what was to come. We sent him articles about running, training, nutrition. We adapted. After training for close to a year, the day had finally come. Dad was going to run his first marathon. 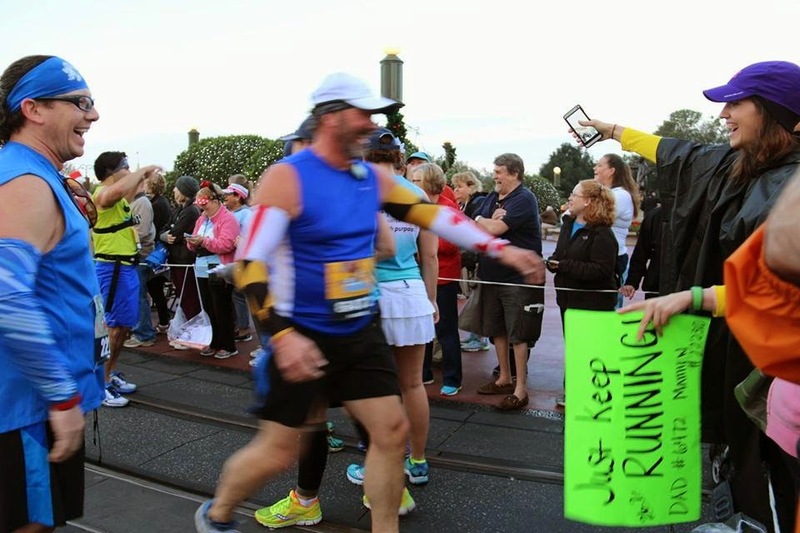 Matthew was running his eighth full marathon and fifth Goofy Challenge. We got everything ready, developed a plan of where I'd see them during the race, and then I watched Matthew and Dad walk back to the corrals. 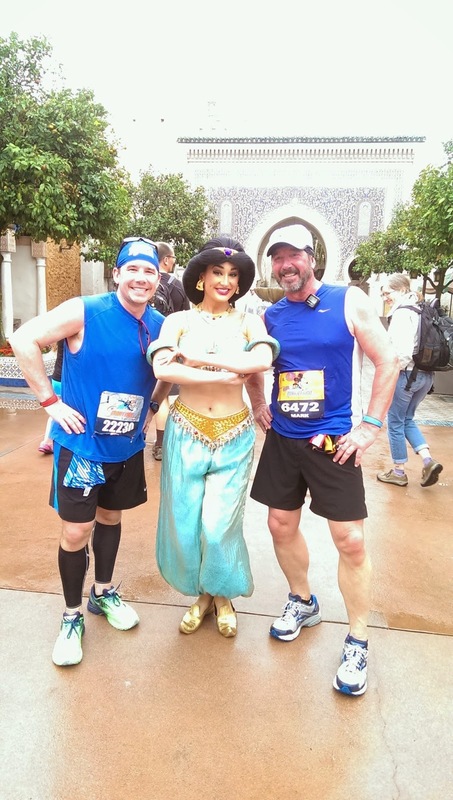 I waited for them in the Magic Kingdom, just after mile five. I got to see so many of those awesome and inspiring people I mentioned earlier: Coach Jeff, Nathan, Patrick, Donna, Mandy, Matt, Kathleen, Lee. I got to see other twitter/ig friends- Krissy, Megan, Carlee, Bill, Angela, Julie, Scott. So many people came up to say hello that the woman beside me asked me if I was a local :-) Matthew texted me often, letting me know where they were and how they were doing. He also sent a ton of pictures. 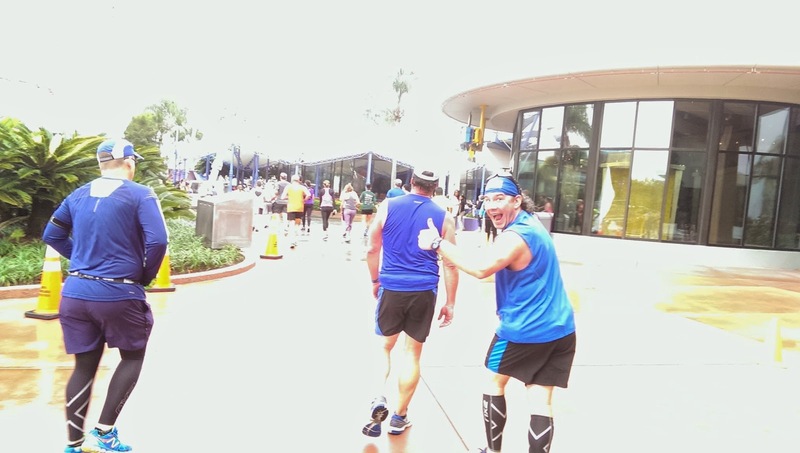 A MUST when you run at Disney. Before too long, I saw them running down Main Street. Kim (Matt's amazing wife) was there again and grabbed some phenomenal pictures. They looked amazing. So strong. So far, so good. We chatted for a few minutes and then they headed off to run the next part of the race. I hung out for a while and then headed out to Wide World of Sports where I'd see them next. My heart is about to burst. Thank you, Kim, for these pictures. My usual spot. Thanks, Mandy, for the picture! Me and Coach Jeff- another awesome moment captured by Kim. 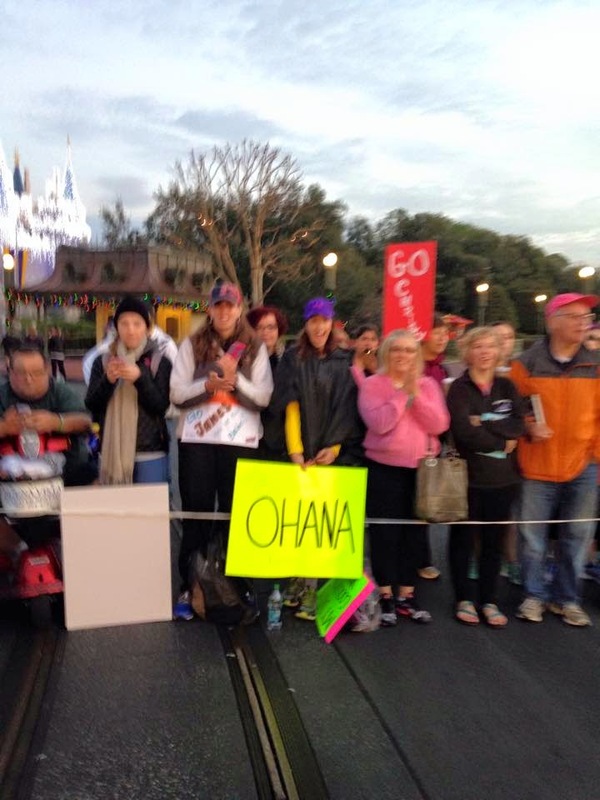 I jumped on a bus to WWOS and chatted with fellow spectators. Once there, I set up in the stadium and cheered for the runners- they were just six short miles from conquering the marathon. I kept getting texts from Matthew updating me on their progress. 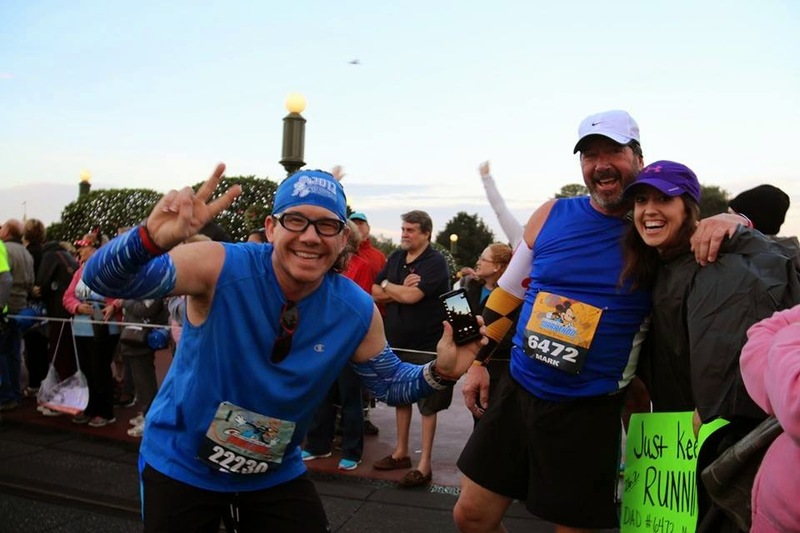 They kept running into our friends- it always amazes me that out of thousands and thousands of people, we can find our running family. 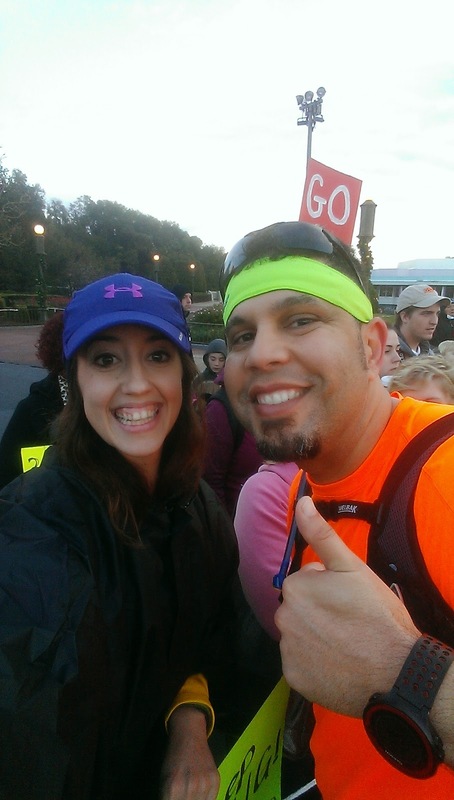 They also bumped into Lori- a blog reader from Minnesota who recognized Matthew and Dad on the course. 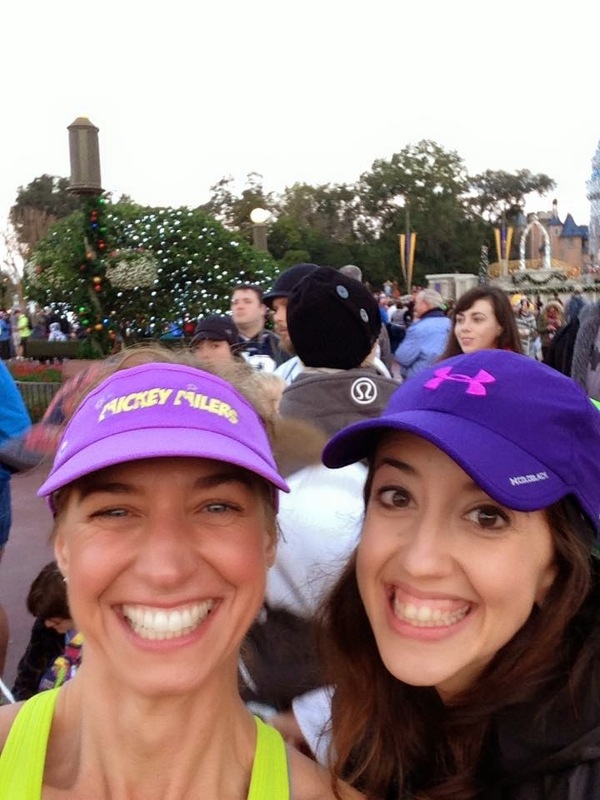 Funny story- as she was going back through her pictures, she found me in her castle selfie! How cool is that?! Matthew and Dad also ran into Artney from My Pretty Brown Blog and Matt from Hokeyblog. Yay for friendship! Matthew's got great selfie skills. Artney, Matt, and Lori. Lori's castle selfie with a grumpy sign holder in the background. I'm having fun, I swear. Thanks, Lori, for the photo! Matthew texted and let me know they were close to the stadium. I walked out of the stadium and got onto the road that leads them out of WWOS- just before the mile 20 marker. Soon enough, I saw them coming my way. When they got to me, I jumped in with them. Yes, you are reading that correctly, I jumped onto the course with them. Let's rewind for a minute. Right after I got injured, as I was sobbing to my PT about how I'd be missing Dad's first marathon, he offered a suggestion- "You'll still have your bib, right? What if you ran six or so miles with them? You should be trained up to that mileage by early January." So we thought about it. And we talked about it with Dad. He thought it was a good idea. 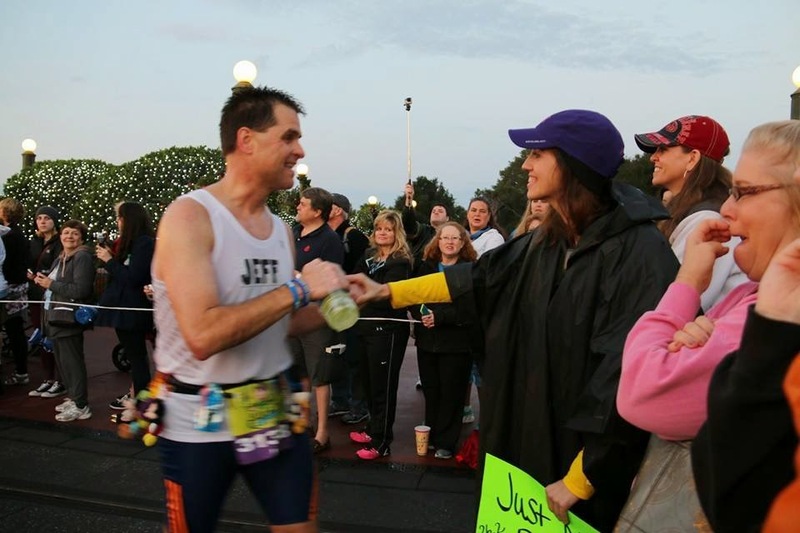 He asked me if I would help him get from mile 20 to mile 26.2 by running with him; by finishing what we'd started a year earlier. With a request like that, how could I refuse? Together with my PT, we decided that the final decision would be made the morning of the marathon- it all rested on how my foot felt that day. Had my foot been cranky, I wouldn't have risked it. But it felt great. 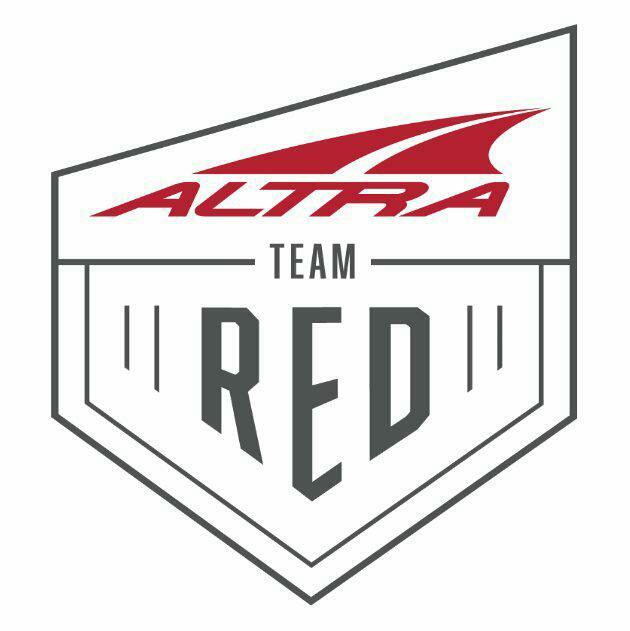 Now before I go any farther, let me put a few things out there- yes, I was registered for the race. Yes, I paid for the race and obtained my bib legally. 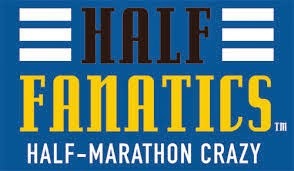 Yes, I was disqualified because I didn't have any timing information for the first 20 miles of the race. 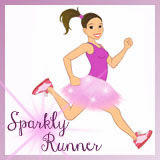 I did not take anything that I didn't pay for and I didn't take anything from any other runner. 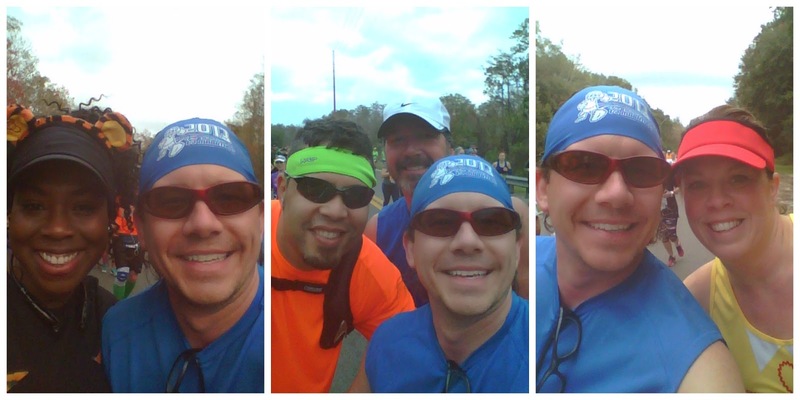 So, the three of us ran the last few miles together. And took tons of pictures. Kim (Matt's wife) saw us in Epcot and grabbed a few more pictures. Dad wanted to stop for the "babe." Another awesome shot from Kim. And then just like that, Dad was a marathoner. 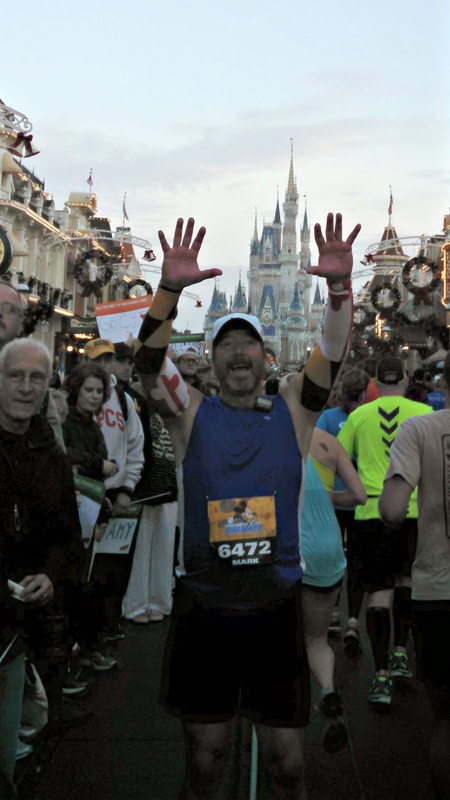 Matthew was an 8-time marathoner and 5-time Goofy Challenge finisher. I could not have been prouder. 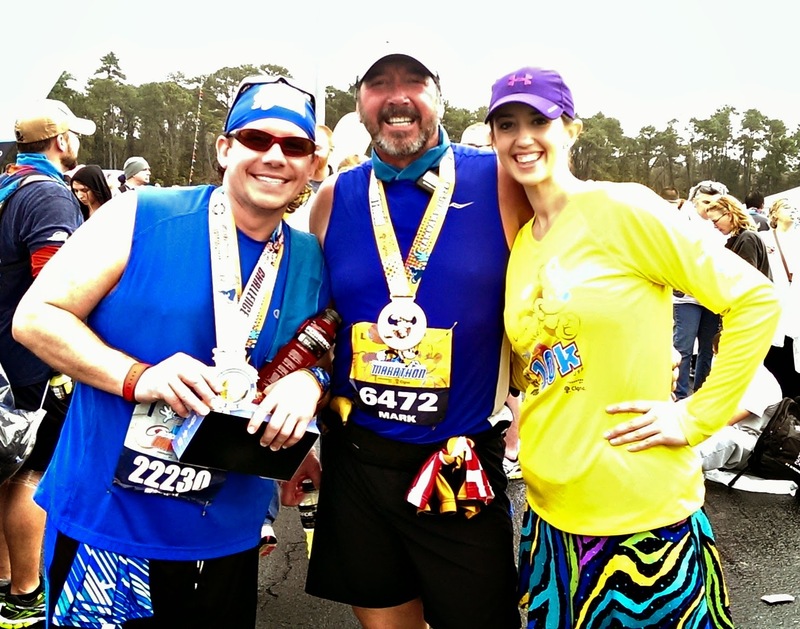 Two of my most favorite people had just ROCKED 26.2 miles. How awesome is that? 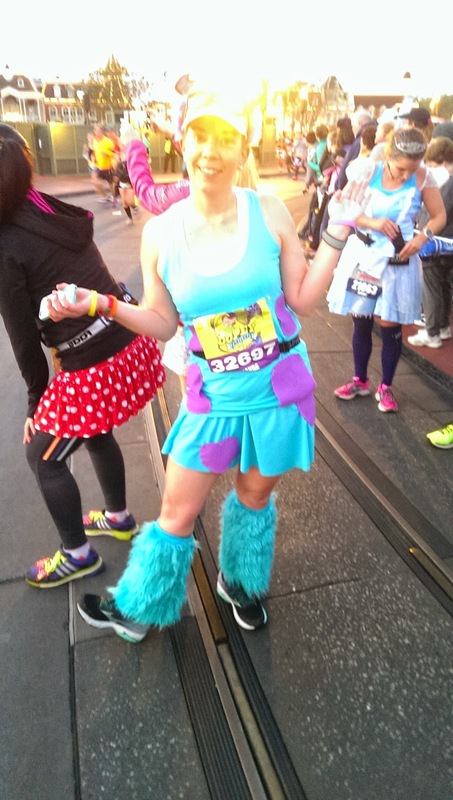 Be on the lookout for a final recap later this week with all the fun Disney stuff we did post-marathon! I think its cool that you got to run the last leg of the marathon with your Dad and Matthew, you paid for it, so why the heck not? I think its so funny to look in the background of peoples selfies and that you showed up in one. You're not in my castle selfie, but the lady holding the "smile if you aren't wearing any underwear" sign is. Whoops! I see she is in Lori's selfie as well! My thoughts exactly. 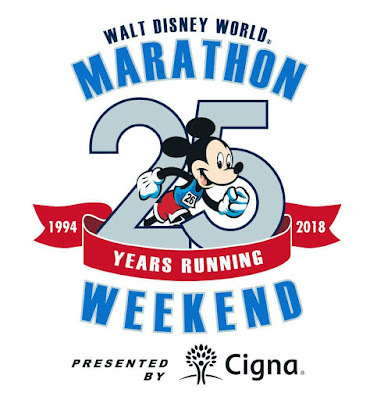 I paid Goofy Challenge registration to run 6.2 miles- lol. That's about $65 a mile. Wow. I'm so happy you could run those final few miles with them. It is a great start to your comeback to racing! I am so proud of you and your amazing spirit! I think that is really neat that you were able to jump in and run the final 10K with your Dad and Matthew! It must have felt very special to be there for those final few miles. Congratulations to everyone! !